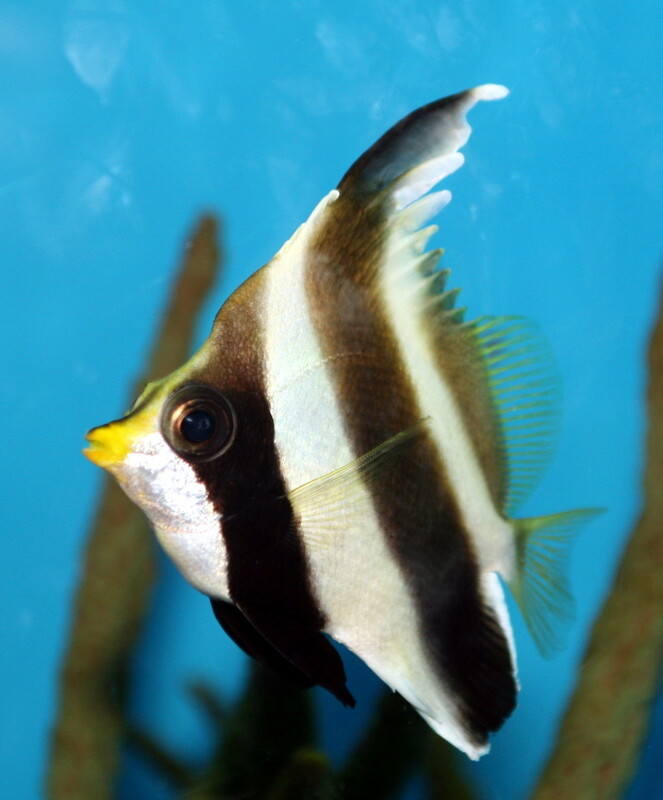 This group of Butterflyfish, Heniochus, is very hardy and does well in the home aquarium. They will eat almost anything, but they may also pick on corals. If you decide to place one in your reef tank, you must watch them very carefully. They can be somewhat quarrelsome amongst each other and sometimes with other fish. They do well in groups and should be given room and hiding spaces.